As distributed generation includes residential and commercial PV arrays becomes more popular, high-efficiency products are forecasted to dominate the global PV market in near future. Improvement of wattage and output rates will accordingly lead the solar PV industry. 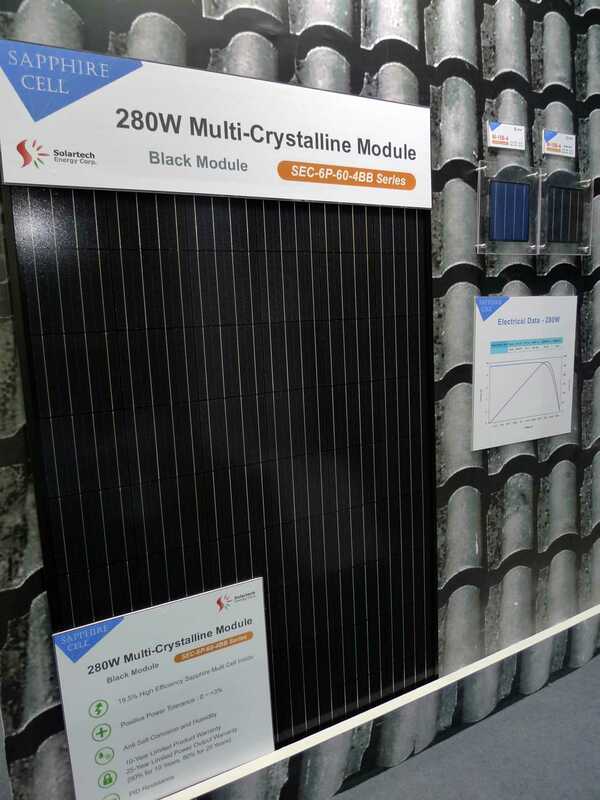 Solartech Energy Corp., a Taiwan-based solar PV manufacturer, displays its latest sapphire cells at the 2015 SNEC convention. The new technology is compatible to mono-si cells because it achieves conversion efficiency as high as 19.6%, and the 60-cell packaged PV modules have a 290W high output. Solartech introduced PERC technology in 2014 and has successfully developed a new, high-efficiency product line, the Sapphire® multi-si solar PV cells. For the rooftop PV installations, the company has launched its Black Star Sapphire® high-efficiency multi-si solar cells. Compared to regular mono-si cells at the same efficiency level, the Black Star cells possess less CTM loss and larger dimension for generating power. Their costs are lower as well. 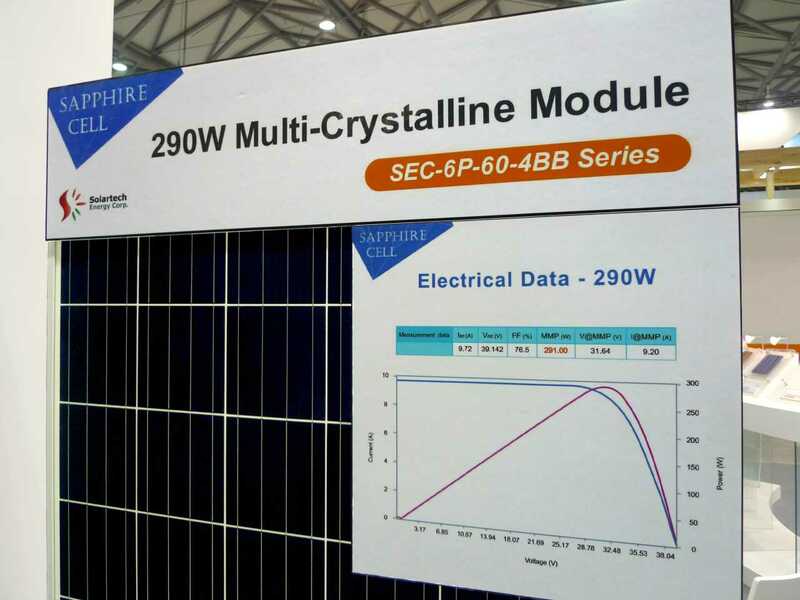 Furthermore, the 60-cell Black Star Sapphire® PV modules’ power output reaches up to 280W, which is higher than any black modules consisting of regular mono-si cells. With Solartech’s latest Sapphire® Series of solar cells and modules, it is possible for the company to offer more competitive products to its customers as well as make more profit for both sides. Currently, Solartech has 1000MW of solar cell producing capacity and 60MW of module capacity. Its average efficiency for standard multi-si PV cells reaches 18.0% and the efficiency levels for Sapphire® Series respectively reach 19.3% and 19.6%. At the 2015 SNEC exhibition, Solartech showcases the latest Sapphire® Series products such as high-efficiency PV cells, modules, and other relevant product in their booth, N1-628.